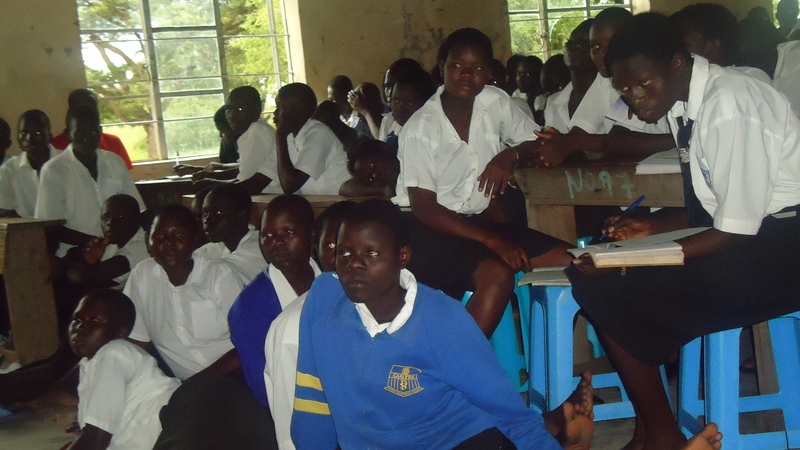 Students in a North Ugandan Secondary School listening to a gospel proclamation. My friend David Sitton has written an excellent exhortation for us based on Luke 10:2-3/Matthew 9:37-38. May all our hearts be stirred in seeking to be part of our Lord’s mission! Thank you David for this word of encouragement! The gospel task, essentially, is to take territory for the Kingdom of God. However, we’re not after geographical conquest. Rather, we target spiritual strongholds where Satan has exerted his control for centuries. We are compelled to go after the hearts and souls of people for whom Christ died. The harvest of nations is an enormous task requiring thousands more of well mentored missionaries than are presently available. What should be our response to this labor force deficit? There is a Lord of the harvest. I’m so grateful that the work of the gospel around the world is in the hands of One who is big enough, wise enough, and powerful enough to manage it. The harvest of nations is the Lord’s work and he will do exactly what he wants to with it. As Lord of the harvest Jesus will have a full crop of all the elect from all of the people groups of the world.4 Likewise, he will have a full contingency of harvesters who are necessary to gather them. All of the goers, all of the martyrs, all of the intercessors and financial senders who are necessary – Jesus will have a full number of everyone and everything that he intends to use for the ingathering of a People for his name and glory. Jesus is the Lord of the harvest. There are workers in the harvest. This speaks to the opportunity we have of working with Christ. Don’t ever forget the magnitude of this privilege. We get to be missionaries for Jesus Christ! It is indescribable grace that Jesus allows us to be partners in mission with him. We get the joy of being front-line spokesmen for Jesus Christ in the far-flung places where his salvation is unknown! The workers in the harvest are to do two things. First, we are instructed to “ask the Lord of the harvest to send out more workers.” Send out in Greek is ekballo, which means to “thrust out violently”; to “forcibly expel”; to “fling out.” It is a spiritually violent and authoritative word, used for example, to describe the driving out of demons.5 When Jesus commands demons to leave a person or place, they immediately relocate. In the same way, as we pray for the Lord of the harvest to send out workers, we are asking Jesus to strategically and forcibly redeploy his people into his worldwide harvest. Prayer is the biblical way, primarily, that missionaries are inwardly compelled to change locations and go somewhere with the gospel.6 We don’t try to twist anyone’s arm or talk anyone into anything. We pray that the Lord of the harvest will ekballo a work force to accomplish his own work. In a refreshing way, instead of trying to argue people into becoming missionaries, we go over their heads. We ask the Lord to compel those whom he wants to carry his gospel seed bags and drive his harvesting combines. The same authority that expels demons in Jesus’ name propels missionaries to joyfully “pack their coffins” en route for remote and hostile places where Jesus is not known. When Jesus says, “go!” demons vacate and missionaries relocate. We do the praying and Jesus does the flinging! Secondly, disciples are told to pray for harvesters and… What is the first word of Luke 10:3? – “GO!” Pray and go. The sense of the text is that we should pray for laborers to go and then get busy being a part of the answer to our own prayers! This is what the Church is called to do. We are to pray and go. Praying, going and sending glorifies God! Important Question: If working with Christ in the gospel around the world is such a privilege, why is it necessary, so often, for the Lord to forcibly expel his laborers into the mission? Why aren’t potential laborers lining up for this incredible opportunity? Jesus sends lambs out among wolves! Is there any doubt what the outcome of that will be? Jesus is describing a slaughter. As we go in his name, Jesus says, we’re going as the main course meal! That’s what lambs are to wolves. This is a primary reason people refuse to go. Even believers are not usually eager to line up for a blood bath! And so, the Lord ekballoes us. He forcibly flings us out into the world by his grace. He does it by transforming our hearts. He makes himself so valuable to us, that suddenly, we begin to “break the jar and pour out all of the oil upon his feet.”8 Our fears and love for this world disintegrate and morph into a passion for his name and compassion for perishing people. So much so, that nothing else matters anymore. Jesus becomes our most treasured “pearl of great price” and we find ourselves doing strange things. We begin to sell homes and land and property. We begin to take our families, even our young children, into some of the most dangerous and difficult places in the world. And we do it with joy, because Jesus and the gospel are worth it! That’s how people become missionaries and how the world will be won for Christ. That’s how it works. We do not need a missionary calling. If we are believers in Jesus Christ we are called to Christ! If we are called to Christ we are simultaneously called to his mission. And when we are called to his mission, we don’t “cut and run” when the going gets tough and treacherous. I’m asking the Lord to ekballo (forcibly expel) every believer in Christ who reads these words. Some will be ekballoed to actually go as missionary martyrs. Some will be ekballoed into financial martyrdom, as believers in the early church did.12 First century disciples were frequently compelled by the Spirit of God and by the joy of Christ in their hearts to give in ridiculous ways. Some of them actually sold homes; some gave land, and many hundreds of thousands of others shed their blood and guts, in extraordinary ways, in order to see to it that the gospel would go to the ends of the earth. This is the mission of God. Missionary martyrs going, financial martyrs sending; and all of us praying and working together, for the gospel and the glory of God to be known and enjoyed by all peoples.